Published Articles: What about giving to charity? What about giving to charity? If you are a Christian you will want to give to charity. For the most part, you will want to give directly to the work of the Lord, both for the spiritual advance of the kingdom and in support of more practical needs. As a general rule, the more personal our giving the better it is. There are times, however, when we may wish to give less personally to charities of a more secular sort. Such giving is, on the face of it, a fine thing. However, there are a number of pitfalls to avoid. There are plenty of examples of people trying to make a fast buck or even a fast thousand bucks by questionable means. Ask for some sort of identification where necessary and ask to see official literature from the charity. Read the small print too. 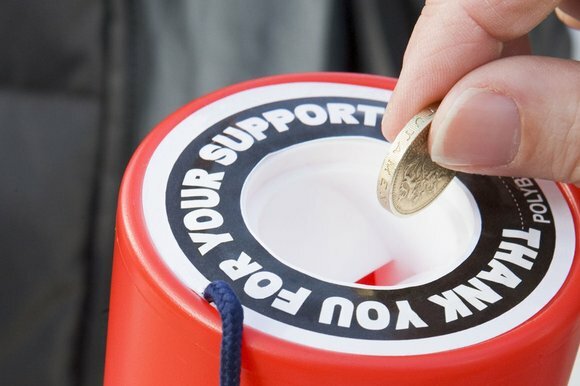 An undercover reporter revealed recently how one organisation was regularly sending out collectors ostensibly to raise money for charity. However, although the laminated card each collector carries boldly lists eight charities that the company claims to support and says that ‘Nightingale continually aim to donate to a wide variety of national charities’, the small print at the very bottom reveals that ‘Nightingale is not a charity and does not represent any charity organisation’. In fact very little money goes to charity. There are well over 180,000 registered charities in the UK and each of these has an official number. Ask for an address and do some digging if you are suspicious. Charitiesdirect.com is a good place to start. Evasive answers to questions are a bad sign as is an aggressive approach. Do not feel under pressure. Most charities need your money just as much tomorrow as they do today. A helpful website says ‘Watch for any appeal for contributions which resembles a bill, invoice or statement of account due. Any such appeal must bear a clear and noticeable disclaimer stating that it is an appeal and that you are under no obligation to pay unless you accept the offer.’ We especially ought to be careful over appeals following a national or overseas disaster. One final tip is to look closely at the charity name - some unscrupulous outfits will choose a name extremely close to that of a well-known charity, and some careless readers will be conned. In many High Streets we currently see young people seeking donors for various large charities. It is little appreciated that they are working not for the charities but for hired agencies. The fees they charge can be as much as 90% of all that you give in the first year of donations after signing on the dotted line. No wonder the practice has been referred to as ‘chugging’ (charity mugging). Several charities are guilty of unnecessarily channelling exorbitant amounts into administration and other overheads. This can be a failing in ‘Christian’ charities as much as in any other sort. Even in respectable charities like Oxfam or Shelter only around half the money from voluntary income will actually go to direct charity work (52p in the pound in the case of Oxfam and 49p in the pound in the case of Shelter - that was the case in 2004. Both now claim 80p in the pound). Last year (2003) the NSPCC was slammed for using £20m of its annual £75m income on public education and campaigning rather than direct services. This compares unfavourably with an organisation like TEAR Fund where only 10% of voluntary income goes on such things. The American organisation Charity Navigator discovered in 2002 that some 14% of organisations surveyed devoted less than 70% of their budgets to their programmes and services and 6% devoted less than 60%. In a notorious case that eventually reached court Breast Cancer Relief was found to be spending 90% of its income on fundraising, selling competition tickets and operating nationwide street collections. Less than 10% of its multi-million pound income was spent on charitable work. The sight of the ‘Moonies’ asking for money for ‘charity’ on our streets is a much less familiar sight today but it is amazing what still goes on. I was shopping before Christmas when a young girl with a lovely smile and a plastic bucket was happily receiving money from shoppers. 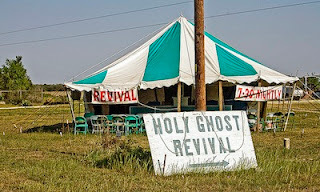 When I asked what she was collecting for it was revealed that she was from the local ‘prosperity gospel’ church and was raising funds for a church building for a nearby congregation! Most contributors were unaware of this – and did not seem to care anyway. It is important that we are always clear exactly where the money we give is going. I remember a few years ago attending a local school function and being asked to give in support of the NSPCC. Most present thought it quite appropriate to donate to an organisation with a name for preventing cruelty to children. However, the specific request on this occasion was to help fund their campaign to ban all corporal punishment of children, something that no Bible reading evangelical would surely want to do. In our house there is usually some excitement when Children in need or Red Nose Day comes around and our boys are keen to take part. No doubt most money raised goes to worthy causes. In recent years, however, the question of whether any money is used to pay for abortions has been raised. It has been denied by the organisers but it is impossible to know exactly how all the money is spent. It may be of interest to know that in this instance it is quite acceptable to specify that money given to the Red Nose charity is for, say, the relief of poverty. Certainly we must be vigilant as to how money we give is going to be spent. (We should add that no Christian causes can benefit from such charities as they do not accept the gay rights clauses). In the case of UNICEF and other charities there seems to be evidence that they are at times involved in promoting abortion and similar practices in the name of eradicating child poverty. Whenever we find references to ‘family planning’ in literature we need to enquire more closely as to just what is meant. More broadly, some have raised serious doubts over whether the cancer research charities are really worth supporting in their present form. This present writer is not competent to comment but one can see the issue. In most cases it is wise to avoid giving cash. If you are giving a relatively small amount, consider how much it will cost the charity to process what you are giving. For example, if you send a pound and expect the gift to be acknowledged your gift will have very little impact indeed. The government helpfully provides ways of efficient giving that will increase the amount that a charity receives, where the donor is a taxpayer. Some have scruples about this but it is surely wise to make use of such opportunities.